Stance honors Jean-Michel Basquiat utilizing an unlikely canvas of socks, underwear and intimates, to showcase his signature use of codes, textures and pictograms underscoring a multitude of themes and social commentary still relevant today. The Jean-Michel Basquiat for Stance collection showcases a full range of socks in men’s, women’s, and kids in addition to intimates and underwear for adults. 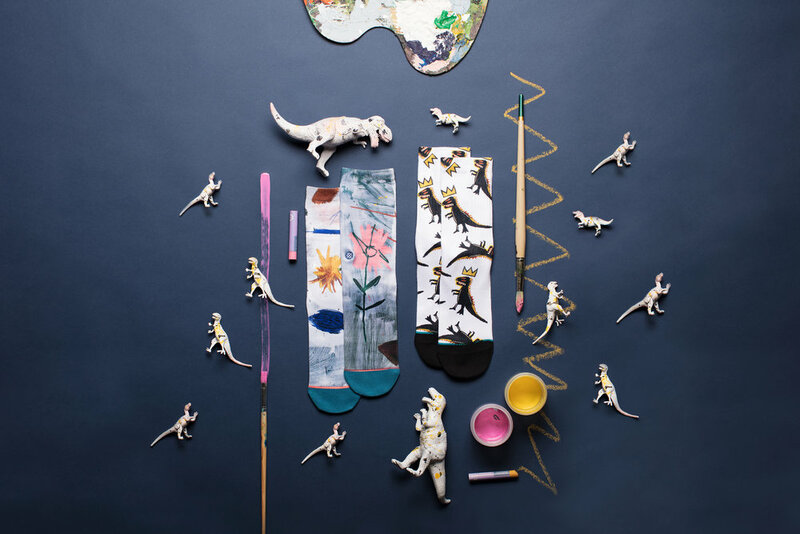 The sock collection features some of Basquiat’s most celebrated works.